Yoshiharu Tsukamoto swings by the Clocktower to talk about his design for the 2011 BMW Guggenheim Lab (through October 16) on Houston Street in lower Manhattan. 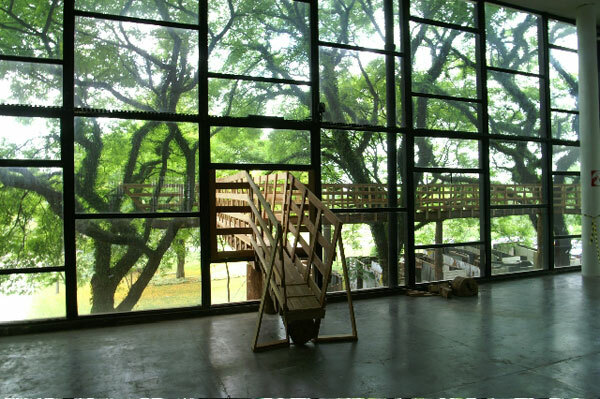 He's one half of the architecture firm Atelier Bow-Wow, based in Tokyo, with partner Momoyo Kaijima. The Lab is a giant tool box, with all the necessary equipment to host lectures, performances, film festivals, and workshops: an old school social condenser. The Lab will travel to Berlin next and then Mumbai, picking up a new fabric skin in each locale. Yoshi also answers the burning question of why Bow-Wow?